we bring you the latest news and changes with this patch. [Bugfix] Now the partners will no longer lose loyalty. [Bugfix] Now the raid bosses already have each their option of protection percentage against debuff effects of x level correctly. 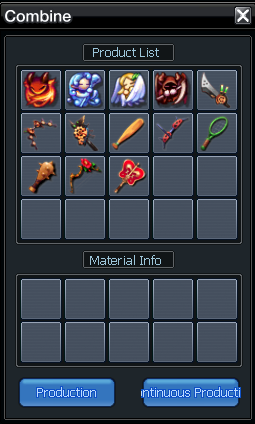 [Bugfix] Fixed a bug with the inventory. [Bugfix] Fixed a problem that caused randomness to stay and could not change the rarity of your weapons and armor. [Bugfix] Area skills animations have been fixed when you use it with no mobs around. [Bugfix] Now the damage of the invocations (such as those of the minijajamarus) will be provided only from the weapon and the percentage of the fairy will not be added. [New - NPC] New NPC called Mysterious Person in the cities (EastVille, Monte Krem West, Desert Eagle City, Citadel) to enter the "Mysterious Room" map. Note: In Desert Eagle City this NPC has replaced the Nuki fortune teller, but this new NPC in that area will have access to the new map and you can also accept the daily mission that will give you one of all the existing tarot cards. [Change - Stores] The Eastmile Bazaar store and masks have been moved to the new "Mysterious Room" map. [Change - Fairies] The fairies of the Eastmile Bazaar store (the normals of the beginning) are now 0%. [New - Mysterious Room] This map also includes the system for crafting items in exchange for coupons and the exchange of souls for raids coupons with several basic dialogues explaining the whole system. 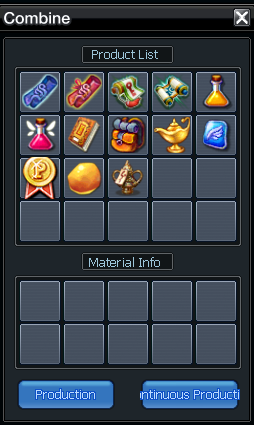 [New - Coupons] New crafting items have been added in the event coupon stores and those that already existed have been modified to adapt to the new improved system. [Change - NPCs special maps] The NPCs of crafting items by raid souls in each raid zone of act 1 have disappeared, now those NPCs are directly on the path of the raid and will allow you to perform some daily missions and item exchanges special of each zone by souls of the raid of that zone. [New - Daily custom missions!] The daily missions of these NPCs consist of winning the raid of that zone once a day and the other of collecting the special item of each zone, both of which have as main reward 1 raid soul of that zone. Besides, they also have an option to exchange the item for souls that can be made as many times as you want to continue making souls. Note: Both the option of direct exchange and the mission of collecting items by souls are restricted to the level strip corresponding to each raid. On the other hand, to overcome the Raid can be done whenever you are more than the minimum level. These missions have been created integrally and completely by the Eastmile team. [Deleted - Time-Spaces] Time-Spaces from act 1 have disappeared from the previous zone and now to be able to realize them, a fragment of time-space (raid) must be obtained that the enemies of the areas before the raids. Then you have to make the access stone to the raid and with double click on that stone you can access the TSO as it happens with the other TSO already available on the server. [Modify - TSO] The TSO seals of Act 1 raids have also been modified slightly so that they are more balanced for their corresponding level strip and that they are a little different from before. [Change - Souls of raids] The souls of Raid no longer be used to craft items in the zones of raid because those stores no longer exist, instead now these souls will have two utilities: they can be exchanged for event coupons or examined with double click and can come out useful items of consumption and improvement or others, or break and get a fragment of broken relic that has no use, as more difficult or high is the level of the raid of that soul more likely to come out good things has (it is your choice to exchange or examine them). [New - Elemental Time-Spaces] New TSs located in the spiral labyrinths of level 42 Fernon's lairs (Fernon temple) to get the combination resistance boots and gloves and the high quality materials, there are 4 TS in total and each one is of an element, therefore in each one they will give you as a reward only resistance of that element and also they will give you a type of material of each quality (they can also leave a glove or boot of that element but that is not the one of combination a). Note: These are located next to the entrance, so it will not be necessary to cross the entire map with the enemies of that area. In these same labyrinths there is another TS of level 70 running the entire map where you can get more high quality materials and crystals of the corresponding element that are used for crafting boots and resistance gloves combination b. Enemies inside the TS can also drop that item. Note: To access that area it will be necessary to have the amber of the element of that concrete labyrinth in order to use the transport of the magic branch that can be bought in Malcolm Mix in EastVille. As main items for the craft of the combination resistors b will be necessary their respective craft scrolls, river sand, piece of green glass, different high quality material for each element, and then crystals and stones also of that elements. 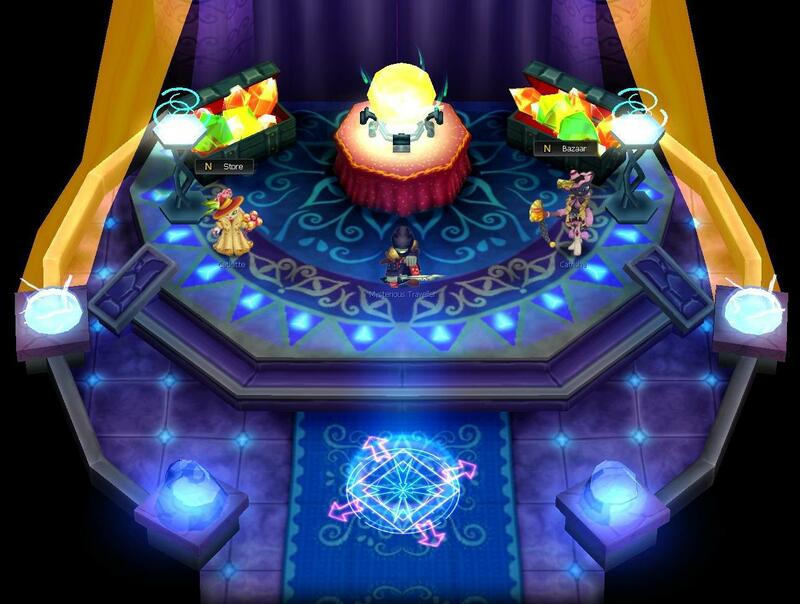 Both crystals and element stones can be obtained by killing the enemies of the labyrinth, with the enemies inside the TS and also with the souls of each element found in the respective floors of the Fernon temple. The enemies of the labyrinths and the souls of the temples are now level 70 and have their stats increased to adapt to the new farming system to make the combination resistance b that has been explained above.